Today we will travel to an old neighbourhood in the historic Mexican city of Oaxaca de Juárez. The area is renowned for its unique cultural sights and parts of the old city are a UNESCO World Heritage site. The simple, rustic exterior gives little clue as to the architectural sophistication that lies beyond. A private home with a classic colour scheme, it does not immediately draw our attention. It's also important to consider the influence of surrounding architecture. The home lies in a narrow cul-de-sac with lots of high-walled compound layouts with slightly rough brick-like appearances. The architects decided to create a home at one with the neighbourhood and continue this trend. The architects decided to create a structure that surrounded the tree. This allowed them to create access to a courtyard area on two sides. 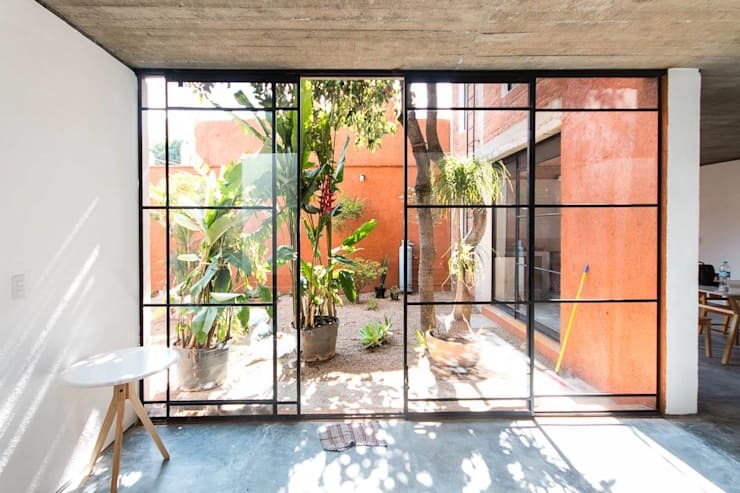 The big glass windows also have a thin metal frame that blurs the line between the garden and the interior space. This is a home that allows the inhabitants to enjoy the outdoors, without sacrificing any privacy or security. 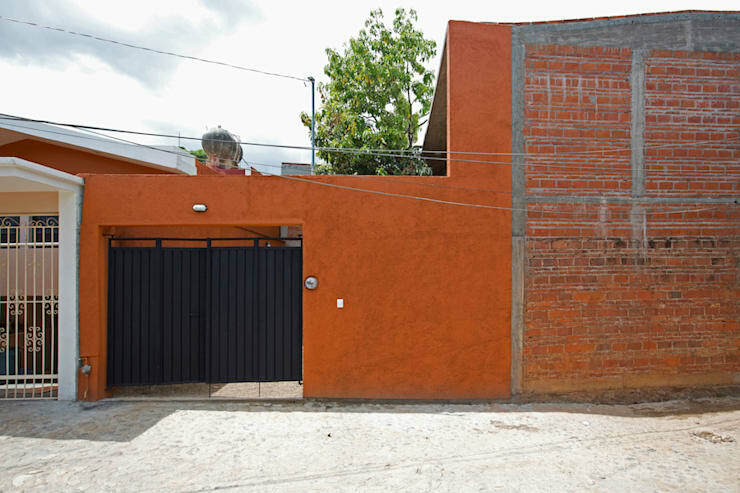 Finally, an orange-earthy coloured paint was applied to the exterior walls to create a warm, natural ambience. On the ground floor, we have a good view of the L-shaped space that is left almost entirely open. The kitchen is just behind us. From here, we can see that it's a social space. The open living room and kitchen have been combined into one area that almost fills the entire floor. There is just enough space for a separate bathroom and service area hidden out of sight. Finally, this may have been a construction on a tight budget, but the careful addition of lavish cast-iron details as seen in the foreground here, add a warm, expressive ambience to the home. If we turn around, we come to the low-key kitchen design. It is very easy to fall into the trap of impressing your own style on a space. This is particularly so in a kitchen where lots of cabinetry tends to be packed into a small space. But here we have a good example of a humble kitchen that blends seamlessly into the larger space. It's partially obscured of course by the lovely ornate cast iron dividing wall, but we can still discern the essentially minimalist layout and lack of high wall cabinets. As mentioned earlier, the client had a minimal budget and wanted work to progress quickly, so the raw materials were a clever choice. 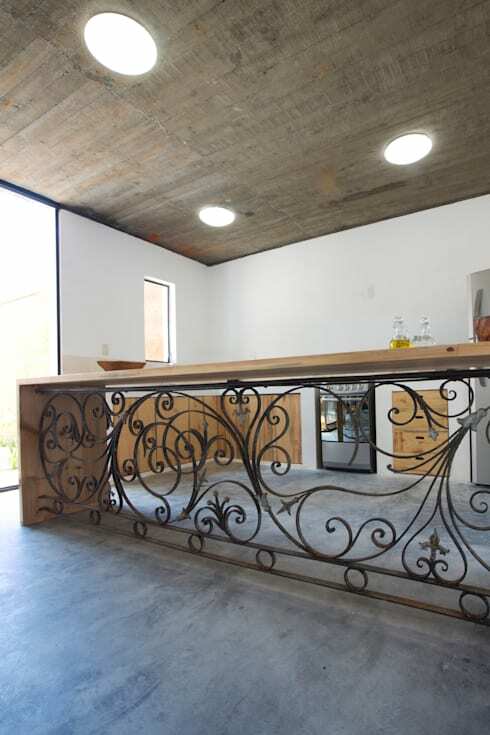 Raw concrete requires relatively little manufacturing, so the concrete floor and ceiling were quick and relatively inexpensive to install. 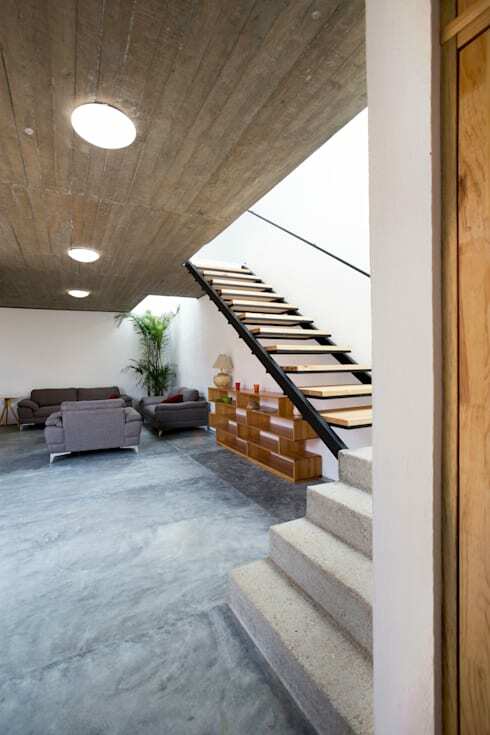 The natural timber staircase and features here also accentuate this raw quality. It's a look that is synonymous with the idea of authenticity and a minimalist sensibility. It also happens to work very well with nature-inspired spaces so it's perfect for this home. Finally, we come to one of the most resplendent parts of the home. On the upper level we have one large skylight. This illuminates the vestibule that leads to the two main bedrooms. 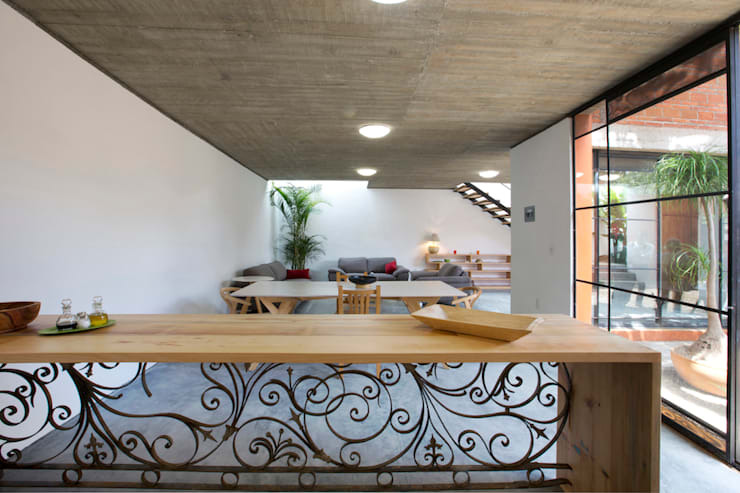 This level is certainly more private than the ground level, so this was a good way to invite light into the space without relying on exterior windows. Earlier, we spoke about the natural variations in the raw materials. 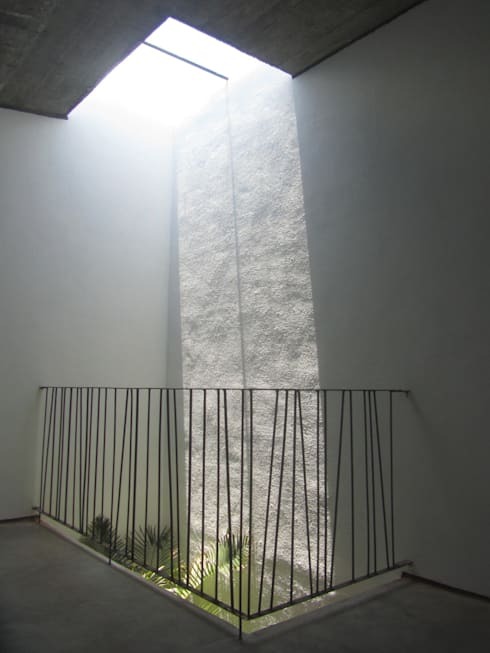 Here we can see how the fine granular changes in the raw concrete wall are really highlighted by the subtle shadows cast by a strong, single directional light. This skylight adds a final, otherworldly beauty to the home. If you are interested in other modern homes, you'll love The Modern Cubist Home. What do you think of the terracotta home we explored today? Do you love that courtyard? Let us know your thoughts!